The lawyers involved in the federal Lipitor litigation are scheduled to meet this week, in order to discuss the structure and organization of the recently formed Lipitor MDL,. This is a standard part of any mass tort cases. The judge is going to work with the parties to figure out how these lawsuits should best proceed as quickly and efficiently as possible. Getting to this point took some doing. At first, a panel of federal judges previously denied plaintiffs’ lawyers first attempt to consolidate all of the Lipitor diabetes cases into a class action. Thankfully and correctly, the judges changed their mind last month. What flipped them? One simple thing: these cases are being filed now in massive numbers. This MDL centralizes the management of the federal Lipitor cases filed by women – just women – who allege the drug maker failed to adequately warn about the risk of diabetes from Lipitor side effects. Is this a class action suit? Yes and no. The MDL make the cases a “class action for a while.” The parties conduct pre-trial discovery on issues that are central to all of the cases. After effort to reach a settlement – and perhaps the trial of a few cases – the cases would head back to their home jurisdictions. The hope, for plaintiffs and for Pfizer I suspect, is that these cases are settled long before we get to the point where these cases are remanded to their home jurisdictions. Today, more than 250 lawsuits have been transferred to the U.S. District Court for the District of South Carolina. I think there will be several thousands of cases filed before this is over. Lipitor has been around forever. What is the problem? Lipitor, amongst others in its class known as statins, is prescribed to people who have been diagnosed with high cholesterol. Though the reason is currently unknown, medical research indicates that people who have taken Lipitor and other statin drugs are at an increased risk to become diabetic than those who have not taken the drug. The increase has varied from study to study, with some reporting an increased risk as high as 28 percent, while other report a 9 percent risk. Regardless of the percentage of increased risk, the risk is clear, and Plaintiffs claim that Pfizer knew or reasonably should have known about the diabetes risk. Pfizer, maker of Lipitor, is being accused of placing profits before consumer safely by withholding this information from the medical community. The FDA first required new diabetes warnings for Lipitor and other similar statins in February 2012. Users were informed that they may face an increased risk of changes to blood glucose levels. Plaintiffs allege though, that Pfizer was well aware of the possible risk long before the warnings were issued, with some studies connecting statins to diabetes are far back as 2004. 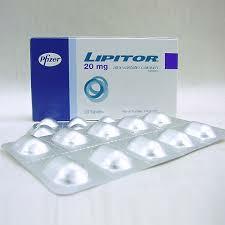 While there has been a connection made between men who have taken Lipitor and an increased risk of diabetes, the data seems to suggest that women are more vulnerable to getting diabetes, and there is further evidence that indicates that Lipitor is less effective in women. The MDL, therefore, involves those cases filed by women only. With the creation of the MDL, it is expected that a small group of cases will be prepared for early trial dates known as “bellwether” cases. These early trials are designed to get some preliminary data on how juries react to the cases, so that the parties can make informed decisions on settlement. In the meantime, the U.S. District Judge assigned to oversee the centralized proceedings, Judge Richard K. Gergel, is expected to discuss the appointment of liaison counsel and a group of lawyers to serve in various leadership roles throughout the litigation. If you or a loved one has taken Lipitor or any of the other statins, and have been diagnosed with diabetes, call us to discuss your concerns. While most of the current litigation involves women who have been diagnosed, we are still investigating cases involving men. If you would like us to review your case, contact us at 800-553-8082 or online here and we will evaluate your case and tell you whether we thing you have a claim that may entitle you to compensation.